Putting your garden to bed? We’ve got suggestions (and supplies). Let us help. It’s fall, time to prep your gardens not just for winter but for the 2015 growing season. GARLIC, it’s time to plant and we’ve got it for sale, $4/head or $14/pound. Also we are offering a garlic workshop. Click here to register and for information. FERTILIZER, because you can’t grow if you don’t have it. We’ve got fish emulsion for $7/16oz. MULCH, you’ve got to keep the chill off those gardens. We don’t sell it, but we’ll tell you where to get it. 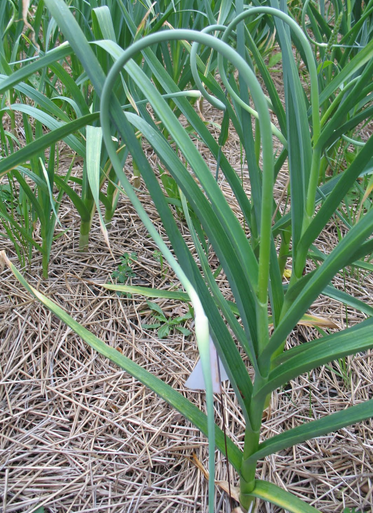 See below for more information about garlic, fertilizer, and mulch, including helpful tips. Or, if you know what you want, email gardens@southsideclt.org by October 28 with how much garlic and fish emulsion you want, and we’ll let you know when it’s ready to pick up. Garlic is the best. Easy to plant, low maintenance, delicious, and you can harvest it twice. The scapes make wonderful stir-fries and pesto in the spring and the bulbs can be harvested in July and eaten fresh or cured to use through rest of the year. Each clove of garlic planted will yield one full head. Between now and early to mid-December is the right time to plant, although right around Halloween is certainly the most popular planting time. 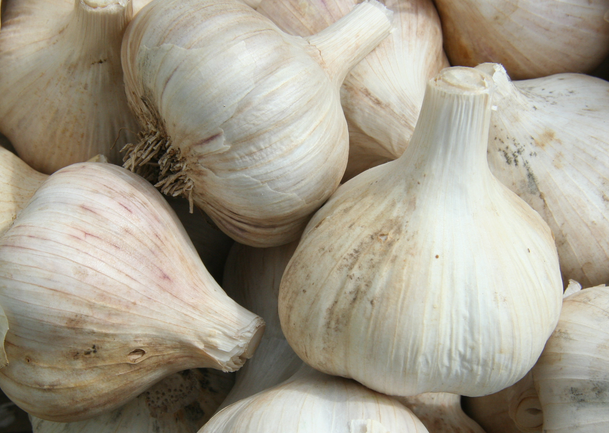 Southside Community Land Trust is offering garlic to members for $4/head or $14/pound. Confused about how to plant garlic? No worries, two wonderful, committed, and very experienced growers, Fay Strongin and Kate Lacouture, will be offering a garlic workshop at Father Lennon Park in Smith Hill on Saturday, November 1 at 12:00 noon. Click here for more details and to register. There are plenty of great ways to fertilize your soil without resorting to industrial chemicals. Southside Community Land Trust is offering Fish Emulsion for $7/16oz bottle. Sourced from New Bedford, this is potent stuff. An ounce or two mixed into a gallon of water and spread on your plants will ensure you a bountiful harvest year round, but get it now for a late season boost. Likewise, you’ll want to have some on hand when your garlic starts to sprout in the early spring. Other options for fall fertilizing include mixing compost into your fallow beds, even chicken manure, available at nearby Baffoni’s Poultry Farm. Too “hot” to use directly on planted beds, the winter will give the chicken manure a chance to break down. 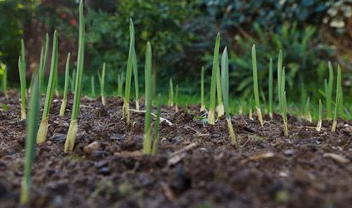 If you are going to plant garlic, you are going to want mulch to keep it safe from extreme temperatures through the winter, and to protect the tender shoots in the spring. One option is hay or straw, easily available from our friends at Cluck!, or from many local farms and agriculture stores. At City Farm we like to use leaves in the fall. Not only are leaves often available for free, they encourage worm activity, which helps make for healthy, nutrient rich soil. We just turn them back into the soil a few weeks before planting in the spring. Our soil is great, and yours can be too. We hope that you have a lovely fall, and great success in putting your gardens to bed. We want to help. If you are interested in purchasing garlic or fish emulsion please email gardens@southsideclt.org and let us know which item you would like and how much. The deadline to pre-order items is TUESDAY, OCTOBER 28. We will inform you when your order will be ready to pick up.